This is what it will look like: Schaeffler’s first ever “Factory for tomorrow”. The plant is being built in Xiangtan, China. Global automotive and industrial supplier Schaeffler is pushing ahead with its transformation process in readiness for the future. It is doing this by means of “Agenda 4 plus One”, a program which it launched in 2016 and which has now been expanded to comprise 20 initiatives. The program is structured into four plus one categories: “Customer focus”, “Operational excellence”, “Financial flexibility”, “Leadership and talent management”, and – as the “plus One” – “Securing long-term competitiveness and value creation”. These categories are further broken down into 20 individual initiatives, including “E-Mobility”, “Industry 4.0” and “Digital Agenda”. The objective of the “Agenda 4 plus One” program is to sustainably grow the Schaeffler Group’s value and secure the group’s competitiveness. The program will add some €300 million to Schaeffler’s earnings by 2022. It is also the basis on which the company intends to bring its EBIT margin before special items back up to its long-term average of 12 to 13 percent and achieve the financial targets set for 2020. In addition, Schaeffler will invest about a billion euros in relation to the “Agenda 4 plus One” program in order to safeguard the Schaeffler Group’s operating profitability and put it on a sustainable, long-term footing. 35 percent of the overall “Agenda 4 plus One” program, including the newly launched initiatives, has already been implemented. Worldwide there are currently about 1,000 Schaeffler employees actively involved in implementing the program. Among the 20 initiatives making up the “Agenda 4 plus One” program are the “E-Mobility” and “Industry 4.0” initiatives in the Automotive OEM and Industrial divisions, respectively. The objective of these two initiatives is to further develop and futureproof the Schaeffler Group’s product range and service portfolio and to focus them more closely on mechatronic systems. 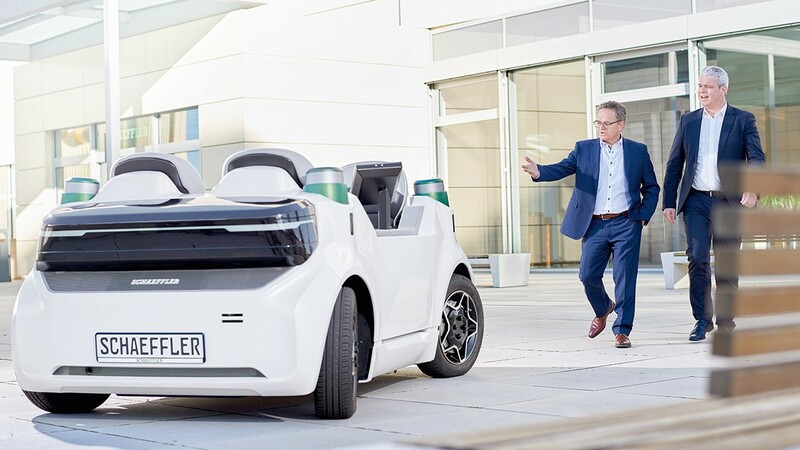 In its Automotive OEM division, the company has achieved a number of further E-Mobility milestones, with eight volume production orders and 25 customer projects currently under way. These developments are driven and coordinated by three competence centers, located in Germany, China and the USA. Alongside this, under the “Industry 4.0” initiative, the company intends to expand the mechatronics capabilities of its Industrial division. It will achieve this by combining all of its existing activities in a single organizational unit and supplementing them with digital service offerings. In doing this, the company has set itself the target of increasing the Industry 4.0 share of its Industrial division’s total revenue to 10 percent by 2022. 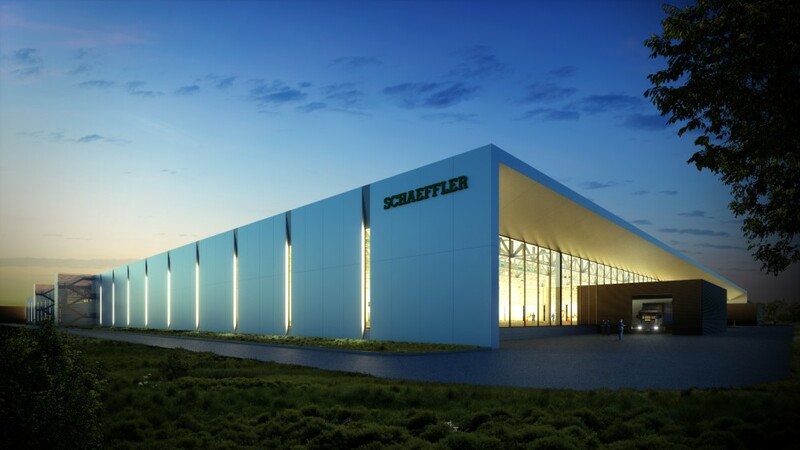 Under the “Factory for tomorrow” initiative, Schaeffler is building a 315,000 m2 state-of-the-art “factory of the future” in Xiangtan, China. The “Agenda 4 plus One” program will see the company invest some €100 million in this facility. The factory’s modular design and the use of digital technologies throughout will allow a high degree of flexibility in space utilization while at the same time reducing costs over the factory’s entire lifecycle. The “Agenda 4 plus One” program also includes the “Working Capital” initiative, which uses systematic working capital management to optimize cash flow generation and reduce capital employed. The company has already succeeded in reducing its capital employed by €150 million through active management of its trade payables. In addition to this, Schaeffler is harmonizing its terms of payment for customers and suppliers and is optimizing and standardizing the associated internal processes group-wide. Another of Schaeffler’s “Agenda 4 plus One” initiatives is “New Work”, a multifunctional office environment strategy that pursues the twin objectives of improving employee satisfaction and enhancing the company’s attractiveness as an employer. By delivering modern, forward-looking office and workplace design, the initiative is yielding improved internal communication and creating modern, innovative and attractive working environments. Employees have a high degree of input into office design, planning and implementation, which leads to significant increases in their satisfaction levels. At the same time, the initiative is reducing the company’s office space requirement by up to a quarter, depending on the type of office space and how it is used. The “New Work” initiative has already been successfully implemented at the company’s Erlangen location, and further projects are either under way or in the planning phase. An “Agenda 4 plus One” initiative of particular importance is the Digital Agenda. The Digital Agenda comprises four elements – “Products & Services”, “Machines & Processes”, “Analyses & Simulation” and “User Experience & Customer Value” – and its purpose is to drive the uptake and use of digital technology within the Schaeffler Group and to expand the group’s digital capabilities and competencies. This will include establishing linkages between the real and digital worlds and using “digital twins” as a key prerequisite for innovations and data-driven business models. In addition, under the auspices of its “IT 2020” initiative, Schaeffler is investing in the expansion and upgrade of its IT infrastructure and the deployment and use of advanced IT standard solutions.